This is from this weekend's shoot of my niece. 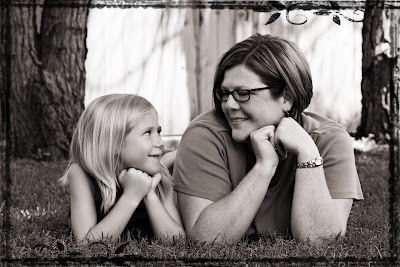 We hadn't really planned to do a mother/daughter shot, so it was kind of impromptu. Settings were Aperture priority, f/5.6, ss 1/200, ISO 200, 50mm lens, converted and Renee's border added in PSE4. CC welcome! TFL! FUN shot! Mom and daughter will really treasure this. Oh, and your new profile pic is great too.